Key features: offers integrated, highly configurable Web applications for projects, time, purchasing, HR, help desk and more. Workflow, views, forms and fields are all configurable. A free online demo is available. More info. Key features: Belkin brings secure KVM to DisplayPort. Supports government users and those who handle confidential information, and need a seamless, coherent working environment for multiple networks with different security levels. More info. 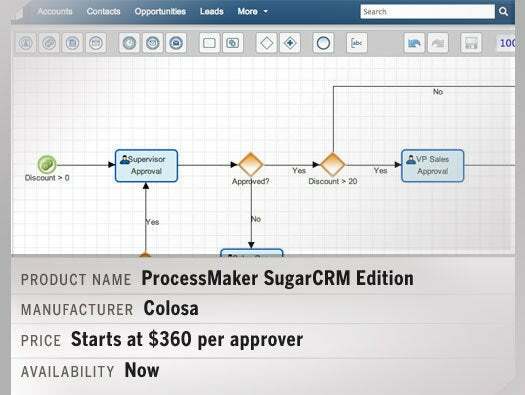 Key features: PMSE enables lead management by bringing BPM functionality to SugarCRM platform through visual BPMN process mapping design, Business Rules design and execution, and integration with native Sugar elements. More info. 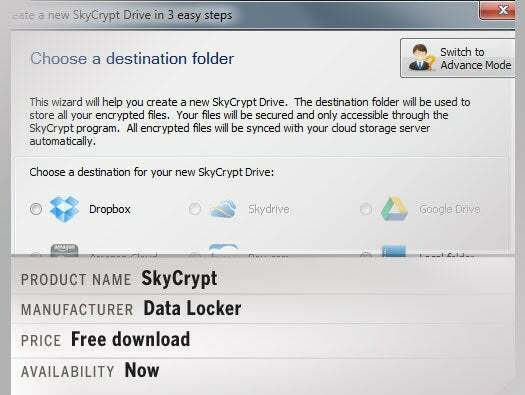 Key features: allows IT to automate protection for laptops and desktops and provides end-users with immediate, self-service access to their data, across devices, regardless of where it is created. More info. 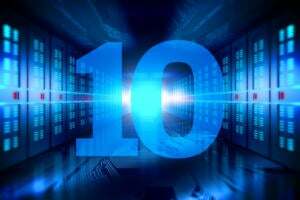 Product name - Convercent, release of Convercent 2.0. 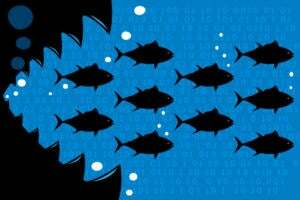 Pricing - Companies with less than 1,000 employees will pay $15,000 per year in an annual recurring SaaS license, while prices for larger enterprises are expected to be in the low six figures. 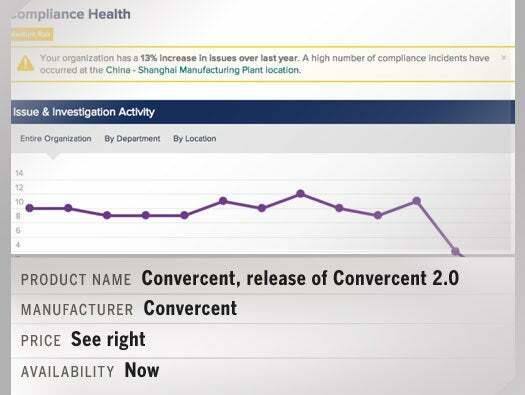 Key features - first predictive analytics technology to understand risk and measure overall compliance health across an organization, offering multi-dimensional insight right from the internal dashboard. More info. 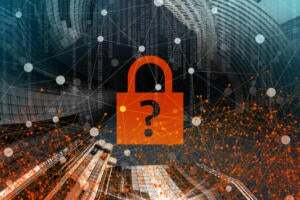 Key features - a new, FIPS 140-2 validated, military grade 256-bit AES encryption program that secures data stored on popular free or paid cloud based storage providers and local files. More info. Key features: Out-of-the-box pattern profiles that use heuristic analysis on common areas of threat such as browsing patterns, distributed attack detection, early-stage attack detection and activity profiling. More info. Key features: Provides a closed-loop, end-to-end network security and monitoring solution that addresses accelerated threat detection through proactive response. More info. Key features: The LN2600 is an all-in-one platform designed to operate in the harshest environments typically found in utilities, telecommunication cell sites, industrial manufacturing facilities and transportation hubs where dust, heavy vibration, moisture and extreme temperatures are often the norm. 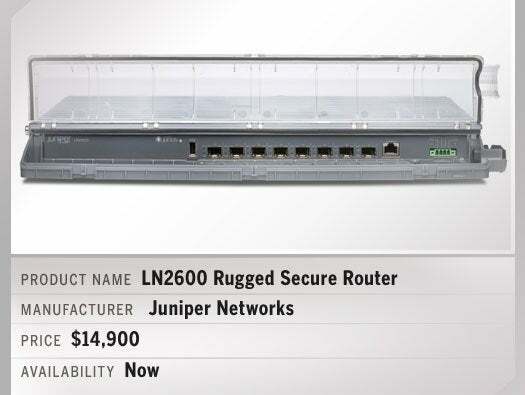 Combining feature-rich routing, switching and security in a single platform, the environmentally-hardened LN2600 contains no vents or other openings, making it dust-tight and splash resistant. More info. 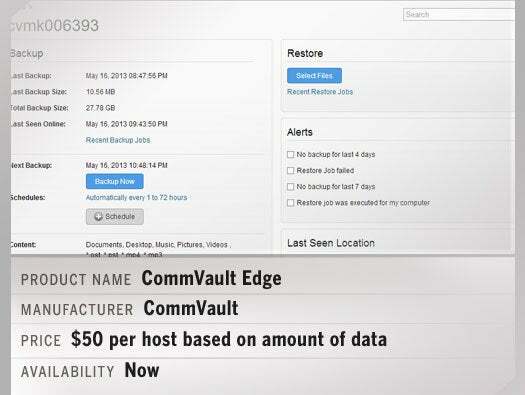 Key features: Designed to manage configurations and assets of network devices. Supporting multi-tenancy resolving the same IP addresses by SmartBridge. Allowing automatic logins by Terminal Proxy, and applying changes uniquely to multiple devices at one time. More info. Pricing: starts at $58 a month for Production Server Solutions and Business Recovery Services start at $150 per month per virtual server. Key features: PvDC 2.0 is a unique platform that enables customers to reallocate resources to a hybrid cloud via a unified platform ensuring performance, scalability, and security, at a reduced cost. More info. Key features: Virtual patching solution now automatically blocks an average of 95% of an application’s vulnerabilities when leveraged with intrusion detection and prevention technology based on Sourcefire’s Snort IPS or ModSecurity’s WAF. More info. Key features: enables businesses to engage with viewers of its content across all channels and turn views into qualified leads. More info. Key features: an integrated test environment that now combines the STARLINE Plug-In Raceway and power monitor meters with the Power Assure measurement system to measure actual idle and peak power consumption of individual IT equipment and IT racks. More info. 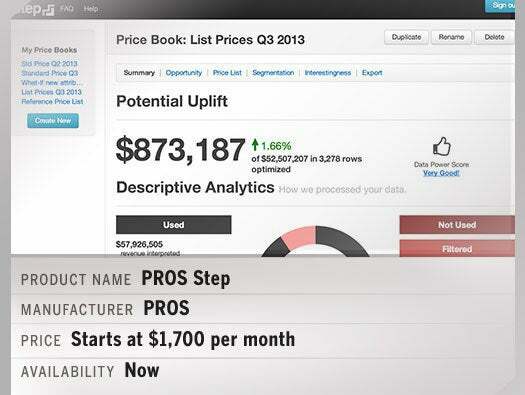 Key features: Step micro-segments customers by common buying preferences, prescribes pricing strategies, and arms sales with data to identify opportunities and meet sales targets. Step runs on the cloud-based Microsoft Azure platform. More info. Key features - an enterprise-grade IDaaS solution that unifies identity governance, provisioning and access management into a single, unified SaaS solution. More info. Key features: is a virtual data center service built on VMware vCloud Director 5.1 giving users the flexibly to build software-defined data center services that manage compute capabilities, storage, network connectivity and security operations. More info. Key features - Seculert is a 100% cloud-based advanced threat protection solution that uses botnet interception, an elastic sandbox and traffic log analysis that transforms existing security devices into a comprehensive APT solution. More info. Key features: enables continuous business innovation by employees and customers on iPhone and Android. Participate in innovation challenges - Post, Comment, Vote on Ideas with pictures and move up the Leaderboard. More info. Key features – a free tool that reports on risk and compliance exposures in SSH environments. More info. Key features: a software-defined storage option, giving applications an experience and scale that mimics public cloud, but runs on commodity hardware for cost savings. More info.